A lot of our Virginia, Maryland and Washington D.C. customers contact us regarding our travel trailers for their cross country adventures. 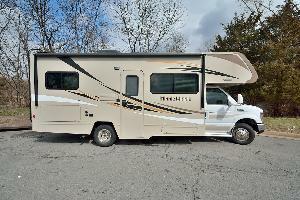 Some even look to our RVs for sale to purchase a 5th wheel RV to live in while on the road or permanently. 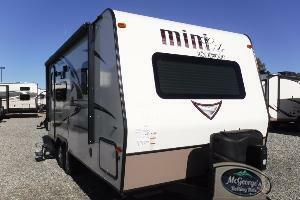 The RVs for sale at our RV dealer are very comfortable, making them ideal homes for the travel optimists out there. 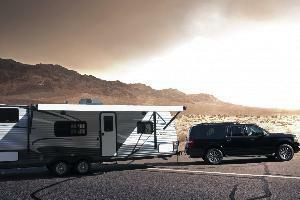 At Ace RV , we strive to provide our customers the best deals, services and quality RV’s, Motor homes and Travel Trailers at our RV Rentals department. We offer group packages and are proud to have provided Luxury RVs for 2012 election candidates, in the sate of Virginia, CID Entertainment and the Consulate General Of Morocco, among other valued clients. 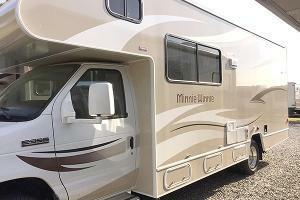 All our Rental RVs can be fully equipped luxuriously to suit your needs. 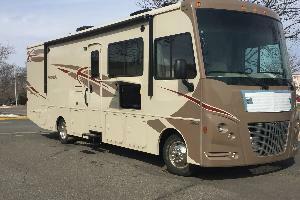 Please don’t forget to inquire about our Luxury RV Rental Custom packages that include 1) RV Food package (fully stocked Kitchen) and 2) RV Data package (Communication devices, Laptops etc). To find the best fit that suites your traveling or vacation needs, please contact us or check out our rental rv’s and travel trailers . 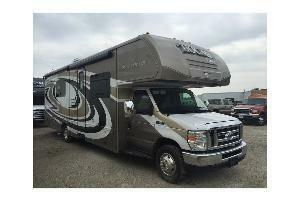 ACE RV Sales and Rentals offers great deals on RVs for sale at our RV dealer, allowing you to afford the RV of your dreams. 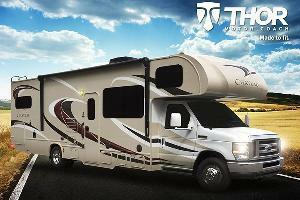 Now, you can own the 5th wheel RV you’ve always wanted. We offer finance options, so make sure to inquire about that if you’re interested in buying. 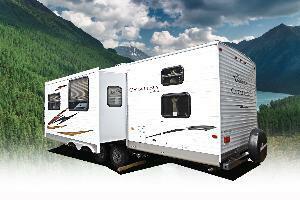 We look forward to assisting you with your next RV sale or RV rental. 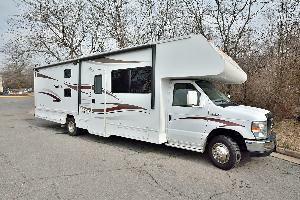 “Minnie Winnie Class C Motor Home by Winnebago Industries w/Rear Corner Bath Including: Shower, Toilet & Sink, Rear Corner 54" x 80" Bed, Refrig., Booth Dinette, Wardrobe, Dbl. 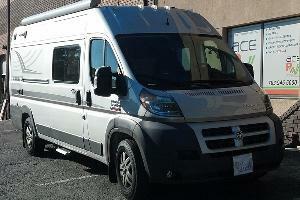 Class C Motorhome. Seats 7 and sleep 9 people. Sales price is $99,000. 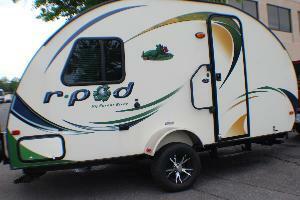 (RV 28 - Rental Available only at the Herndon, VA location). 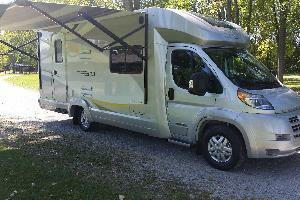 2015 Fleetwood Tioga Ranger 31D, This elegant class C Fleetwood Motorhome is ready for the road. 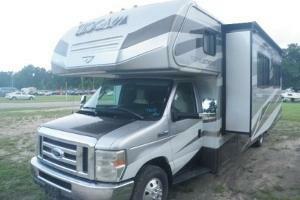 The 31G is a bunk bed floor plan with a lower dinette and upper bunk. Each Pursuit comes equipped with a broom and coat closet. A floor-line window will give your pet their own unobstructed view on the great outdoors. 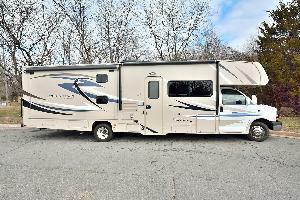 (RV 21 - Rental Available only at the Herndon, VA location) The Coachmen Freelander (accommodates 6 adults/2 kids) offers you all the “Good Stuff” novice RV’ers quickly appreciate and experienced RV’ers demand. (RV 20. 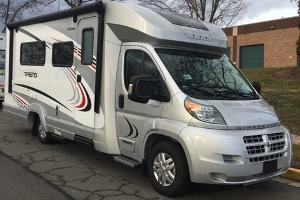 Class C - Rental Available only at the Herndon, VA location) Coachmen Leprechaun RV (accommodates 8 adults/2 kids) at a price to fit practically any budget. Class A. Sleep 5 adults. o	Description:Sleeps 4 adults. 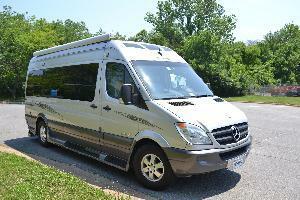 Sits 9 people, Daily Rate of $209. Our basic daily rate includes 50 miles per day and 3 hours of generator use per day. Additional generator hours are charged at $5.00 per hour. 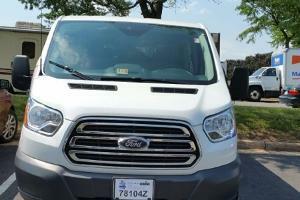 We do offer extra mileage prepaid for .22 cent per mile. All prepaid mileage not used is nonrefundable. Mileage paid after you return will be .32 cent per mile. We offer unlimited generator usage for a flat fee of $75.00 for up to 14 days. 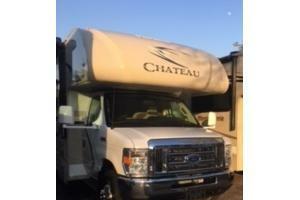 Any rental exceeding 14 days will be subject to additional charges. Our standard rate for additional hours is $5.00 per hour. 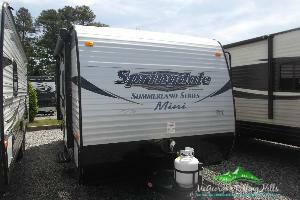 Travel Trailers do not come with Generators, we do rent them if needed. The Security Deposit on the RV is due at the time of booking. 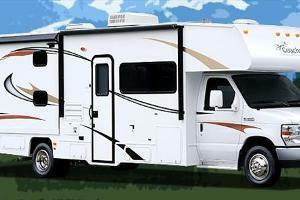 This ensures that you receive the RV of your choice for the dates you request. It is Nonrefundable if you cancel your booking. 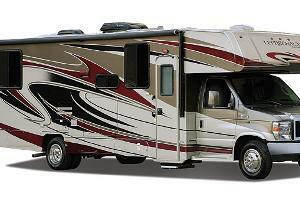 The Security Deposit will be refunded to you once the RV is returned,subject to additional charges/damages. This can take up to 30 business days. Pick Up any time after 9am EST, Return before 5pm EST. We are closed on SUNDAYS. 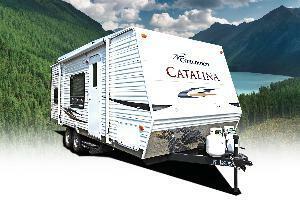 If you wish to return the RV on a Sunday or Holiday there will be a $50.00 surcharge. If you wish to return after business hours additional charges will apply. 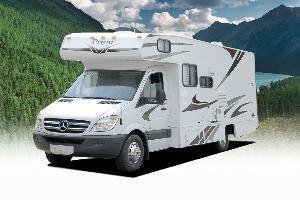 You will need to ensure that your insurance company covers the RV for the dates you have it rented. All drivers (25 and older) MUST show proof of insurance at time of pickup. We can offer COLLISION COVERAGE ONLY for $40.00 per day of rental with a $1500.00 Deductible. 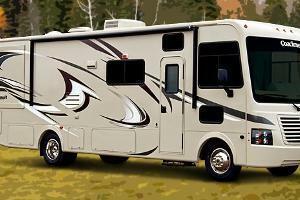 The gas/diesel tank is full when the RV goes out and must come back full. If not returned full, there will be a $25.00 service charge plus the cost of fuel. The propane tank is full when the RV goes out and must come back full. If not returned full, there will be a $25.00 service charge plus the cost of fuel. The holding tanks (Gray/Black) go out empty and they must be returned empty. If not returned empty there will be a $75.00 dump fee. There will be a 3% service fee if you choose to pay by Credit Card. The Security Deposit it is excluded from this fee. We accept cash/cashier’s check/certified check/money order. We do not accept American Express Cards or personal checks. Pets are accepted/allowed subject to additional charges. Please let us know if you want to take one on your trip. Note: 100% of the rental amount is non-refundable after reservation. You agree to waive the right to a chargeback . There is a 3% Service Charge on Credit Card Payments. 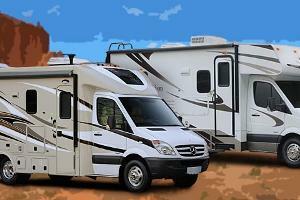 In case of unavailability of a particular RV a similar RV will be provided by Ace RV Sales and Rentals.